Geneva/New Delhi, 3 September 2012 – German pharmaceutical company Bayer today heads to India’s Intellectual Property Appellate Board in Chennai in a bid to overturn a compulsory licence which has allowed more affordable generic versions of sorafenib tosylate, a cancer drug patented by Bayer, to be produced in the interest of public health. International humanitarian health organisation Médecins Sans Frontières (MSF) has criticised Bayer for the move. “Bayer's appeal against this landmark ruling in India is predictable; they're using litigation rather than addressing the reality that their prices are too high”, said Leena Menghaney, Campaign Manager in India for MSF’s Access Campaign. “It is not the use of a compulsory licence that should be challenged, but the continued pursuit of excessively high profits over public health needs." India's Patent Controller made the landmark decision in March this year to allow generic competition and production – by issuing a ‘compulsory licence’ – of a more affordable version of an unaffordable Bayer liver and kidney cancer drug, sorafenib tosylate. The move brought the price of the patented drug down from over US$5,500 per month to $175 per month; a price reduction of 97 per cent. Bayer is being paid a six per cent royalty on sales by Natco, the generic manufacturer who received the licence. The issue of India’s first compulsory licence is a potential watershed for affordable access to patented medicines. Compulsory licensing could open the way for other life saving drugs now patented in India and priced out of reach to be produced by generic companies for use across the developing world at a fraction of the price. New medicines which are patented in India – which include medicines to treat HIV, for example – are too expensive for those who need them most. HIV drugs are one area which MSF hopes will see the benefits of future compulsory licences in India. “That’s unsustainable in the long run – and if Bayer succeeds in overturning one of the legal options we have to receive the newer drugs we need at an affordable price, it will be a set back for our medical projects ”, Mr Arend added. India currently finds itself in the middle of several patent disputes by multinational pharmaceutical companies; Swiss multinational Novartis is currently embroiled in a legal attack on India’s public health-friendly patent laws, having challenged the Indian government over the interpretation of a provision that restricts the grants of secondary patents. That case is due to be heard in the Supreme Court this month. 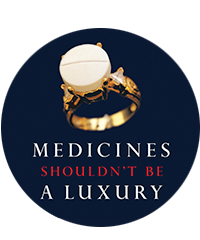 Compulsory licences are a legally recognised means to overcome barriers in accessing affordable medicines under international trade rules. The compulsory licence has been granted by India’s Controller of Patents (the highest authority of the Indian Patent Office) to the generic company Natco for the eight years sorafenib tosylate will remain patented in India (until 2020), and against the payment of a royalty rate fixed at 6%. The reasoning behind the decision: Bayer had made the drug available to a small percentage of eligible patients (approximately slightly above 2 percent), which did not meet the requirements of the public. The price of Rs 280,000 per month (approximately US$5,500) was not "reasonably affordable." Natco was required to make the drug available within India at a price of not more than Rs 8,800 (approximately US$175) for one month's treatment. MSF relies on quality, affordable generic medicines made in India, often called the ‘pharmacy of the developing world’, to treat more than 80% of the 220,000 people in its HIV projects across 23 countries. Competition among generic manufacturers in India is what has brought HIV medicine prices down by nearly 99% since 2000, from US$10,000 per person per year to roughly $150 today. But after a new patent law was introduced in 2005, newer medicines are increasingly being patented in India, keeping prices high.